Kapalandi Masala refer to fried peanuts coated with Kadalamavu (Chickpea flour) then fried in Coconut oil or simply fried peanuts in Coconut oil and curry leaves flavored with Masala powder and salt. When bought in mobile peanut and pea shop, they can be bought with chopped fresh onion topping. It was always a joy for me to sit down in Allepey Beach in Allepey, Kerala, India with packs of Kapalandi Masala with fresh onion toppings. Nice way to spend a quiet weekend. 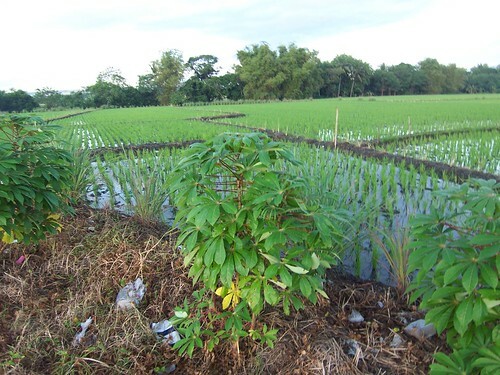 Picture below is a picture of Kadalamavu coated Kapalandi Masala. 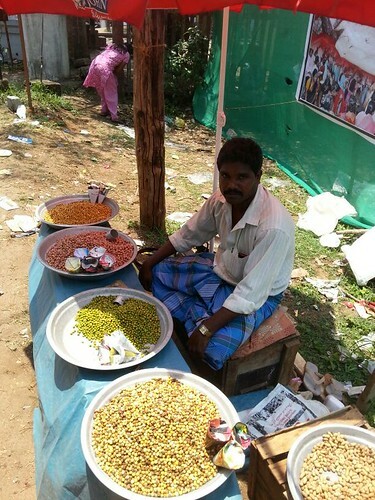 Below is a scene around Allepey, Kerala, India - peanut and peas vendor selling assorted peas and peanut flavors in the church during the Holy week and Easter celebration. Kuchember also known as Kachumber refers to a spicy tomato, cucumber and onion relish that is a refreshing accompaniment to most Indian meals with curd or vinegar dressing. Pictures below is my non-spicy version of Kuchember/Kachumber which I am making when I like a refreshing salad while in my home in the Philippines or when I am in my home in Germany using Apple Cider Vinegar instead of curd and minus the chopped green bird's eye chili pepper. Kamoteng Kahoy is known in Malayalam as Kappa or Kappioka and is used for making various dishes in the southern state of India, Kerala. 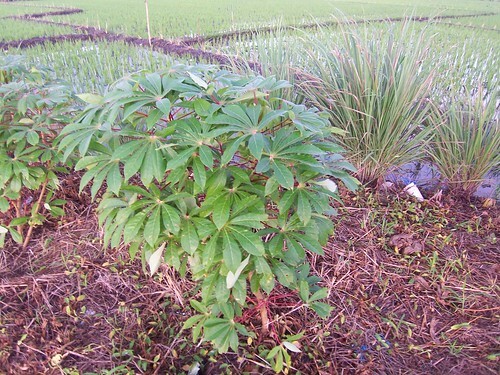 It is also an important root crop and basic staple food in Africa and is used for making Fufu (mashed cassava), especially in Central Africa. 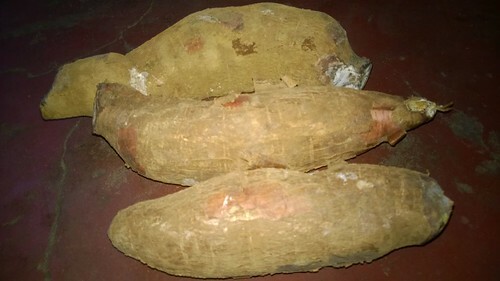 Picture below is fresh/raw Kamoteng Kahoy from Kerala, India. In Allepey, Kerala, India, Aunt Lily, a family friend buys Kappa /Kappioka from a mobile vendor peddling Kappa. Boiled Kappa is a very important food item / a staple item in Kerala's cuisine as substitute for steamed rice. Kangkong is the Filipino term for Swamp Cabbage or River Spinach..
Kao pad also known or spelled as Khao phad is a Thai term for "fried rice".